To empower women to redefine their self-imposed limitations and get that much closer to their true self. Heidi’s coaching philosophy is all about that positive push. She believes that the path to our best version is to flip that sneaky mental narrative when the workouts go dark and stormy. 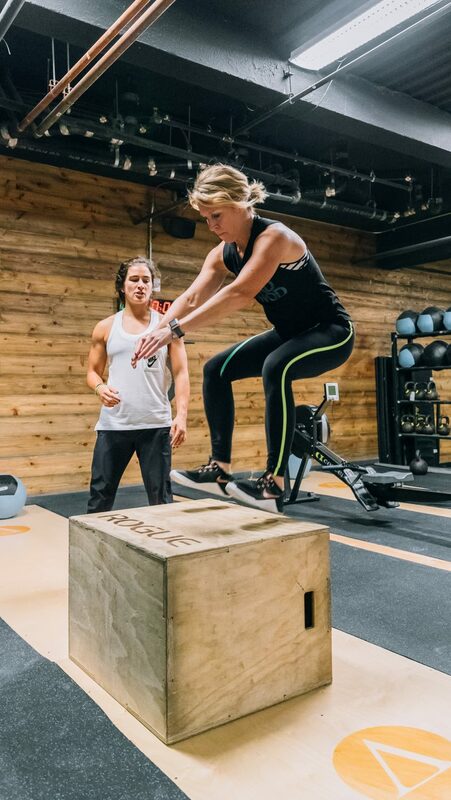 ‘There is always one more rep that is possible,’ and Heidi believes that when you subscribe to that, all of our self-imposed limitations literally get annihilated. Heidi is no stranger to that deep mental push. She has been a runner since she was 9 years old, running competitively through a Division 1 college to completing more than 20 marathons, including multiple trips to the Boston marathon and ultimately into ultra marathoning.